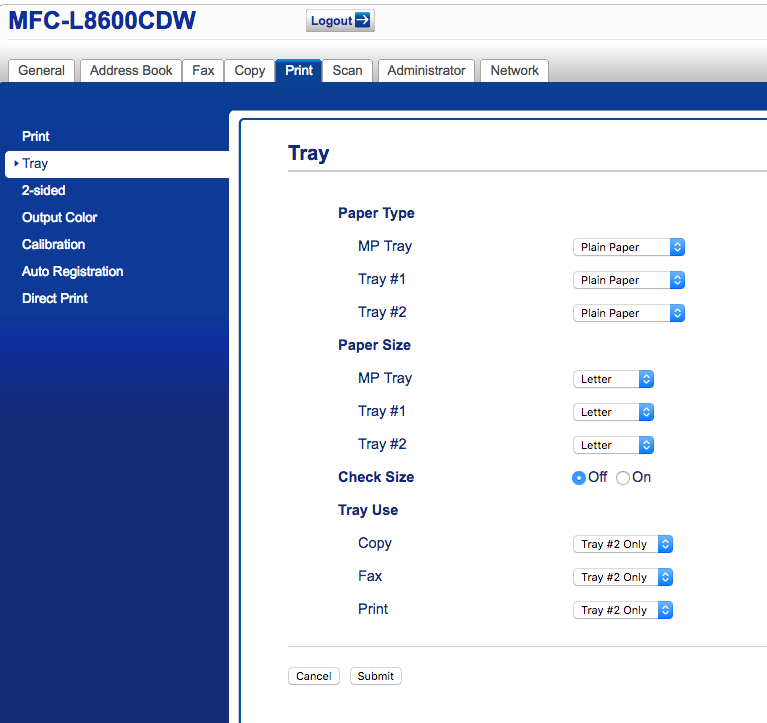 Support for an additional 500 sheet paper tray added on the bottom; model number LT320CL. Amazon link. In any case, where things get a little rough is on the software side, both on your computer and in the printer. I’ll continue to update this article as problems are encountered and solved. The first, and largest, problem I have with the Brother software is it seems other than just simple printing, nearly none of the features that require the Brother drivers will work in a routed environment. I initially set the printer up on a separate subnet from my computer, with firewall in between, but even with the firewall permitting any type of traffic, the Brother software for printing and scanning would just give random stupid network errors. Moving it to the same subnet resolved those issues. Not a Brother critique, but Macintosh in general. 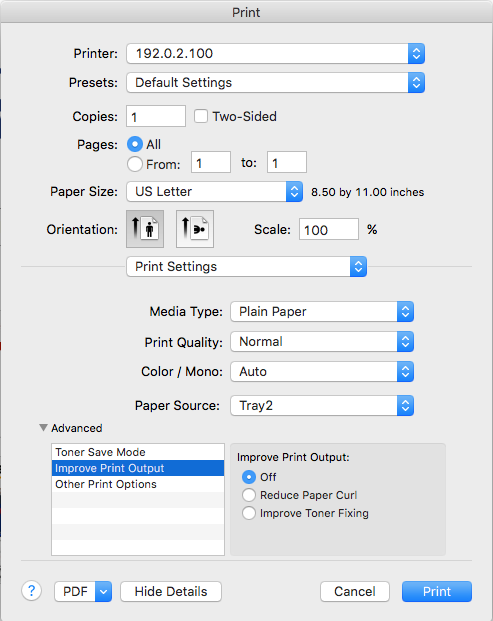 If you need to print from a specific paper tray, that option is buried deep in the printing dialog box, by dropping the menu down about half way down the window to select Print Settings, then you can choose the Paper Source. I also expanded the ‘advanced’ menu on this screen shot so you can find the option that works well with printing transparencies, and that’s the reduce paper curl option.